Steven (Chicagoland, United States) on 20 March 2013 in Plant & Nature and Portfolio. 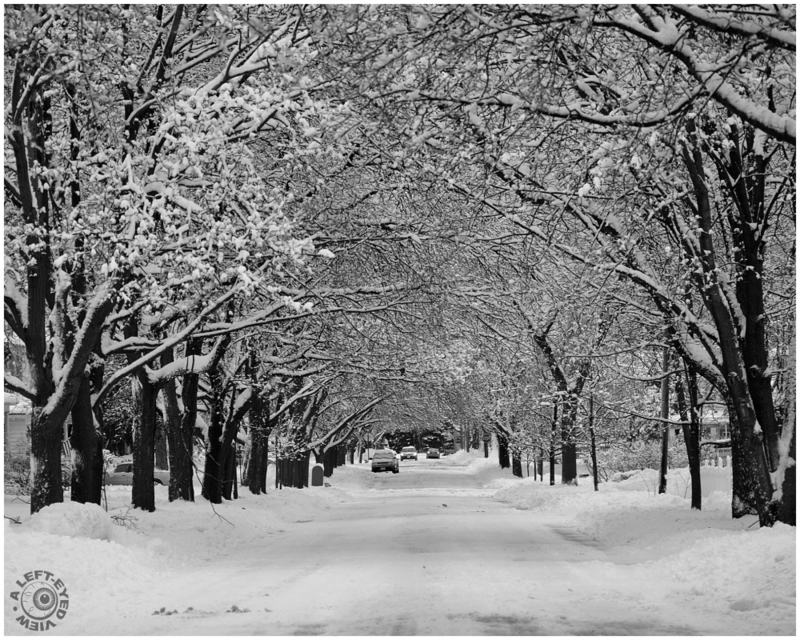 Gillett Avenue in Waukegan, Illinois after an 11" snowfall. Photo captured February 8, 2013. Good composition and nice perspective! Good snow scene... Works quite well in B&W. Wow, that's a really beautiful winter weather scene, Steven. Nicely done! A beautiful composition with marvelous perspective. Beautifully photographed and presented ! Great frame ! Hopefully it is not like taht at the first day of Spring ! So pretty, I love how the trees line the street forming an arc.... a beautiful sight for the eyes Steven and great dof. There's a nice balance in the b/w also.... Very, very nice indeed! How beautiful this looks, but not so much fun to drive through. We got maybe 2 inches out f this one by the time it got to us...Beautiufl shot, Steven!! Very beautiful. The whitened canopy makes for a wonderful arch. I like very much this image. Too much snow! It is beautiful though. Beautiful winter scene with a nice coating of snow on all those branches ... very beautiful! Beautiful winter scene! I love how the trees form an arch over the road. I love how the trees make a tunnel down the road. The trees frame everything nicely. Excellent shot. A snow laden beauty of a winter shot. Oh gee that sure looks cold and really pretty !